Edward Conti attended NYIT and Hartford University where his concentration was in Business Management. Edward worked in various sales fields since 2004, which has helped him gain an appreciation for people and their interests. His main strengths reside in excellent communication skills, patience, passion, and integrity. Edward has helped a variety of investors gross millions of dollars on properties brought to market. Edward is a native New Yorker who is well-travelled and passionate about different cultures and languages. He loves everything related to New York; Restaurant's, museums, sporting events, and the melting pot lifestyle of NYC. 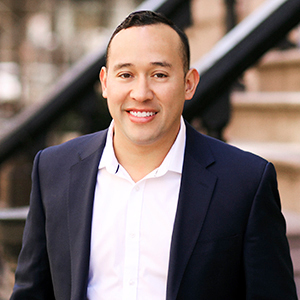 Edward will strive to meet his client's expectations and desires by utilizing his expertise in the real estate market.